McNabs island is encircled by shipwrecks, some tragic and some mundane. Many can still be seen at low tide. Join historian Dan Conlin for a fascinating illustrated talk about the shipwrecks of McNabs Island. “McNab Island has been the final destination for countless vessels for centuries. Their evocative timbers and rusty fittings still have secrets to reveal and stories to tell.” says Conlin. Saint Mary’s University. One of his first steps in reconnecting with the province was to join the Friends of McNabs Island. He wrote the chapter on lighthouses and shipwrecks for the Friends’ Discover McNabs Island guidebook. Dan was curator at the Maritime Museum of the Atlantic for 19 years where he was responsible for many successful exhibits including the Titanic display. He was also curator for a Pirates exhibit which led to his first book Pirates of the Atlantic: Robbery, Murder and Mayhem off Canada’s East Coast. His second book, War through the Lens: the Canadian Army Film and Photo Unit was based on personal interviews and research that Dan conducted for his undergraduate thesis. 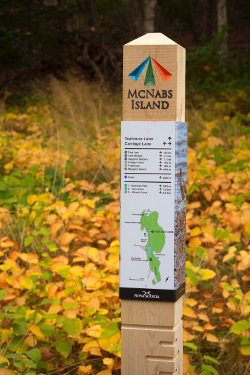 The Friends of McNabs Island Society is a volunteer-driven, registered charity dedicated to preserving and protecting McNabs and Lawlor Island Provincial Park. Since 1990, the Friends of McNabs have improved the trails and park facilities, organized community beach cleanups and offered guided tours to island visitors – making McNabs Island a welcoming park for everyone. In total, volunteers collected 500 bags of garbage and recyclables. 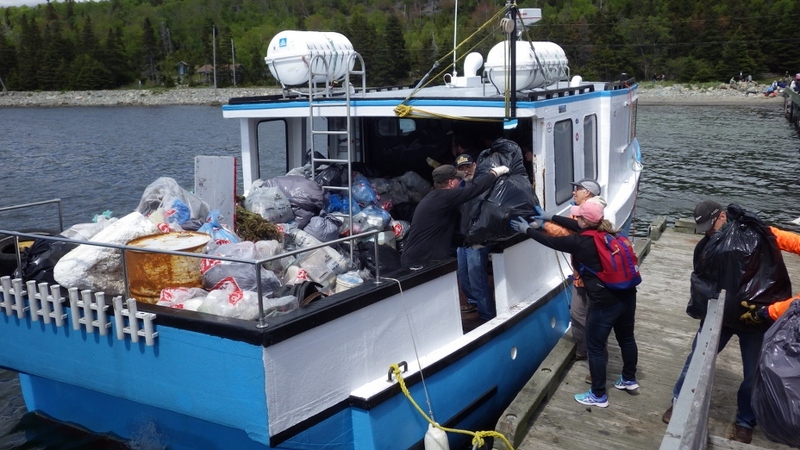 Since 1991, volunteers have collected nearly 13,000 bags of garbage and recyclables from the beaches of this 400 ha “green jewel” in Halifax Harbour. 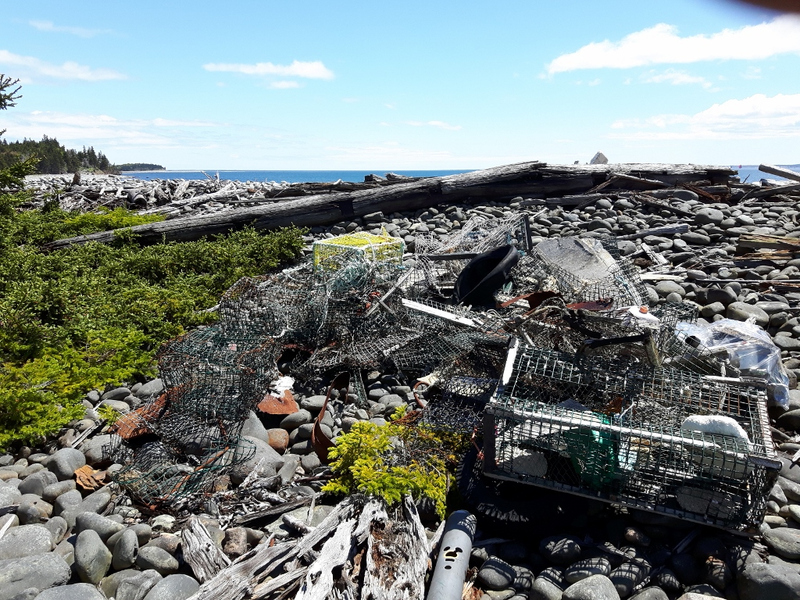 Severe winter storms brought more than 30 lobster traps up on the beaches of the island. Marine debris included fibreglass boat parts, part of a kayak, several paddles and fishing gear. 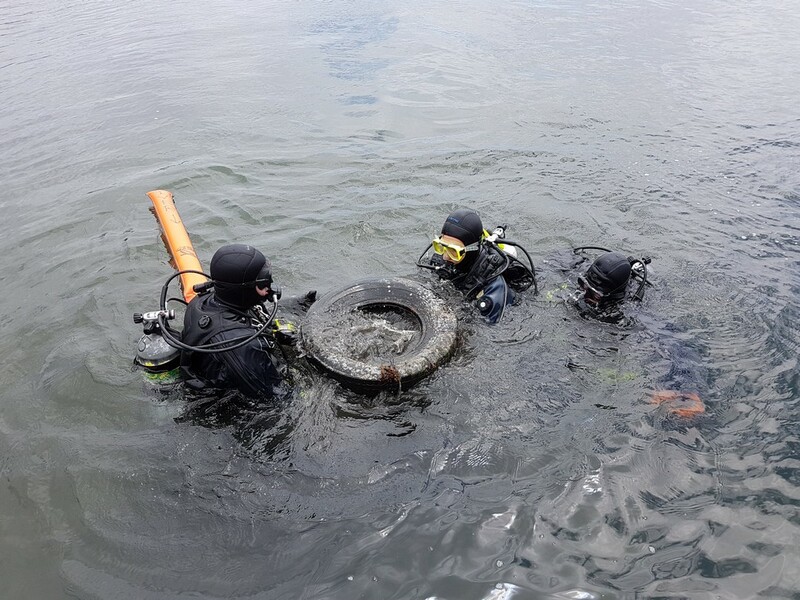 Divers from the Seawolves Scuba Club hauled up old broken bottles from the waters near Maugers Beach, and a 50-year old intact Sussex Ginger Beer bottle, and then pulled up a toilet from under Garrison Pier. 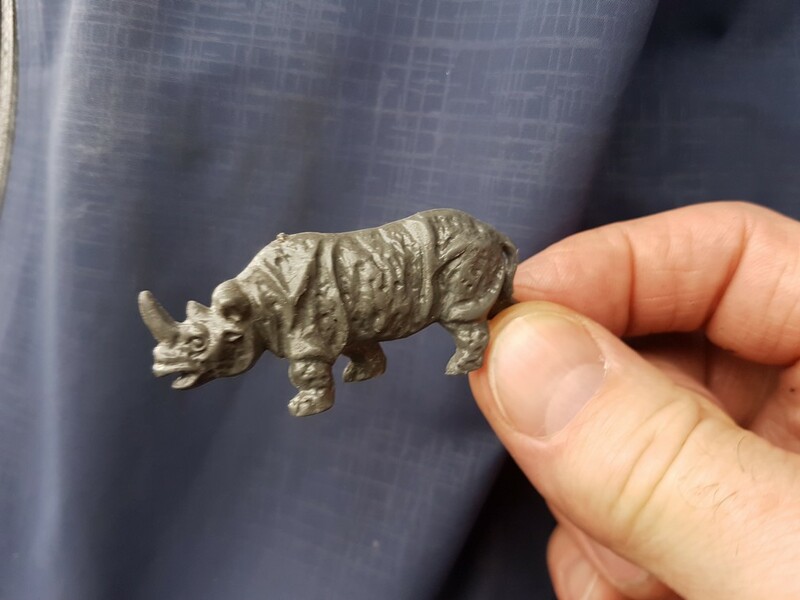 Other unusual items included a toy rocking horse, a tiny plastic rhinoceros, a cross-country ski and a mini Teenage Mutant Ninja Turtle. Clothing items found included Ville de Quebec ball cap and a high-heeled shoe. The bulk of the items found were plastics - plastic sheeting and containers, and pieces of Styrofoam. Plastic tampon applicators from Halifax’s sewage system that is supposed to be working, and Tim Horton’s coffee cups continue to litter the beaches. Youth groups including 2nd Colby Pathfinders and Ecole Secondaire du Sommet participated, as well as, staff from McInnes Cooper, CBCL and Bend Beauty Skin Care. 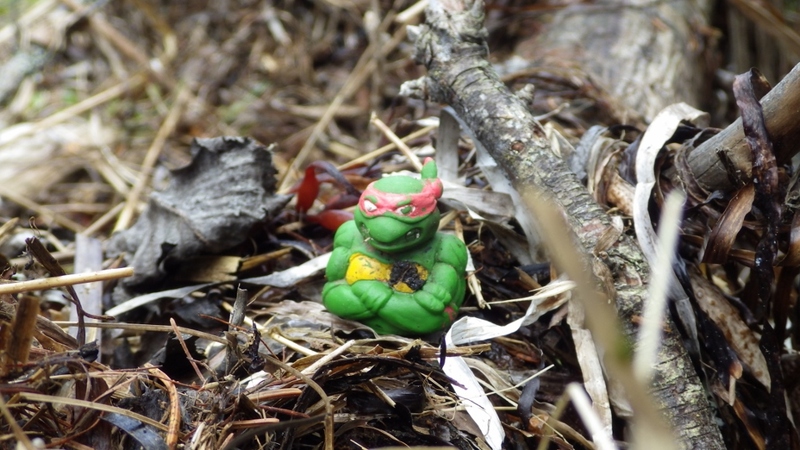 The McNabs and Lawlor Islands Provincial Park cleanup is the longest running and largest cleanup in the Maritimes. Thanks to all the volunteers who cleaned up the beaches and to McInnes Cooper, Waterfront Development and the Halifax Dump and Run for supporting the volunteers; Clean Nova Scotia for providing garbage bags; Source Atlantic for providing gloves; Murphy’s Cable Wharf and A & M Sea Charters for transporting volunteers; Nova Scotia Department of Natural Resources staff for getting the garbage to the main wharf and A&M Sea Charters and Waterfront Development for hauling the garbage back to Eastern Passage where it was picked up by city garbage trucks for final disposal and recycling. 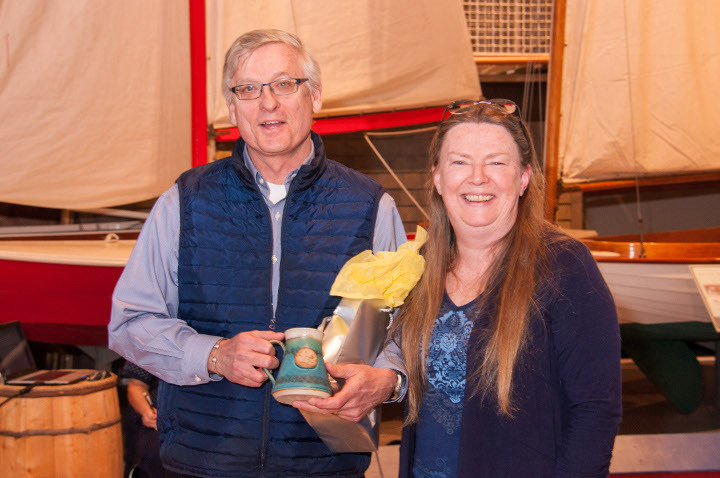 The Friends of McNabs Island celebrated our 27th Annual General Meeting on April 12, 2017 at the Maritime Museum of the Atlantic. 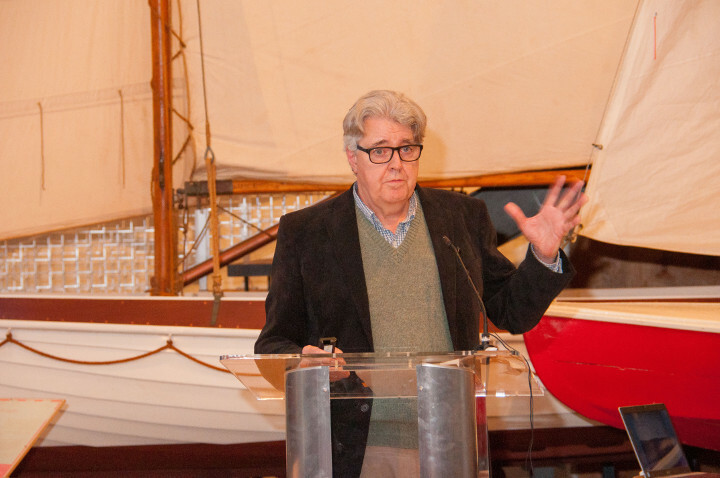 The Friends of McNabs Island celebrated our 27th Annual General Meeting on April 12, 2017 at the Maritime Museum of the Atlantic. 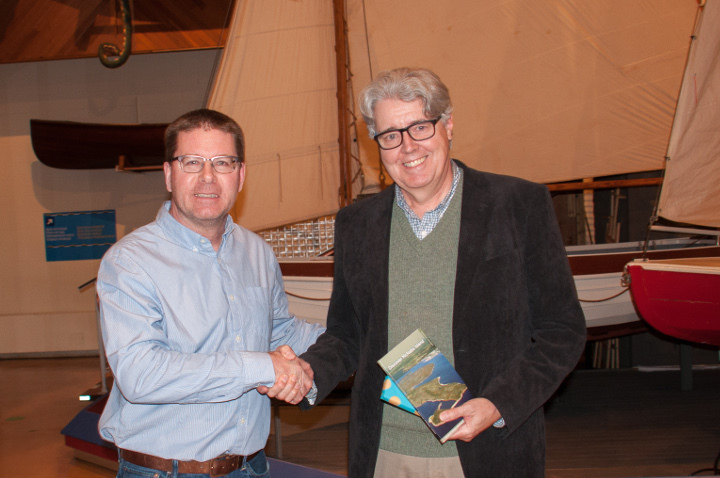 One hundred people attended the event which featured a special presentation by Dr. Jay White entitled: McNabs Island Stands on Guard from Confederation to the Cold War. Dr. White told us about the pivotal role McNabs Island played in the defence of Canada during two World Wars and in peacetime. Our 'Special Friend of the Island' award for 2017 was presented to Brent King at our Annual Meeting. 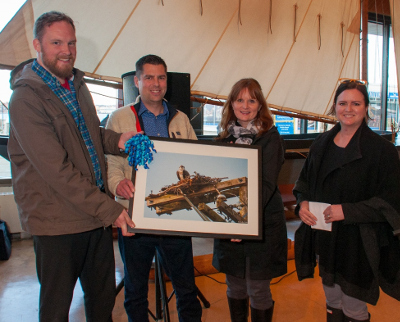 Brent was recognized for his volunteer efforts spearheading the Friends of McNabs kiosk project, guided history tours for island visitors and for researching and writing many McNabs Island articles. 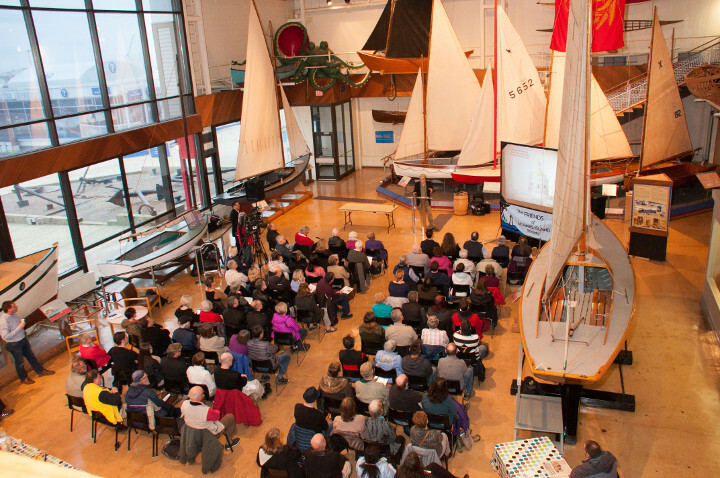 (March 28, 2017) Join the Friends of McNabs Island Society for our 27th ANNUAL GENERAL MEETING and presentation on Wednesday, April 12 at 6:30 pm in the Small Craft Gallery of the Maritime Museum of the Atlantic, 1675 Lower Water Street, on the Halifax waterfront. 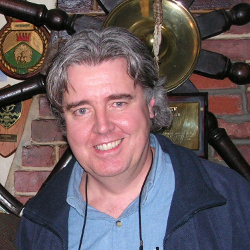 Special guest speaker will be Dr. Jay White, an historian specializing in Atlantic Canada, who has taught at several universities in the region. Professor White will look at the important role that McNabs Island has played in Canadian military history from Confederation to the Cold War. As Canada celebrates its 150th birthday, Professor White’s talk will reflect on the pivotal role McNabs Island played in the defence of Canada in two World Wars and in peacetime. He will also connect developments on McNabs Island to larger events on the world stage. “McNabs Island was really a linchpin in Halifax’s defence matrix, right up until the Cold War. Removing McNabs from the equation would have made the task of defending the Port of Halifax much more difficult,” says Dr. White. Around the time of Confederation, the island's Sherbrooke Tower lighthouse served as a sentry for those entering Halifax Harbour. Later, the many fortifications on McNabs equipped with powerful guns, searchlights and anti-submarine nets guarded the city during the two World Wars. Following the Halifax Explosion, the garrison on the island provided ready and able assistance when much of the city had been destroyed. After the war years and right up until the 1990s, the island played an important military role by monitored ship traffic in Halifax Harbour from the listening station at Hugonin Battery. “We are pleased that Jay can join us for our annual meeting. 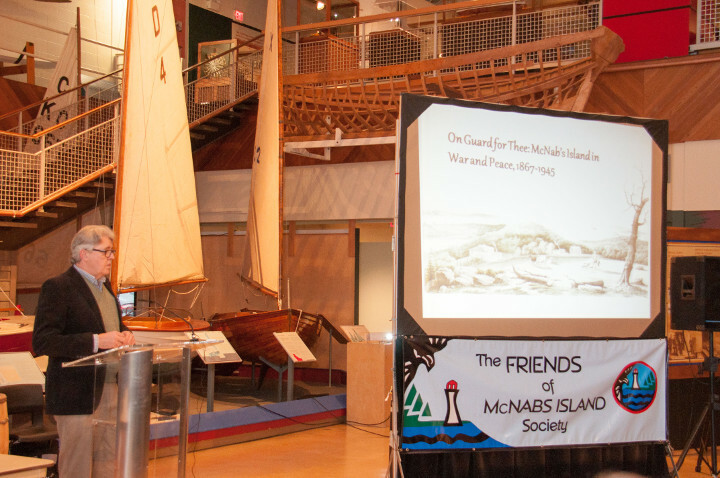 His presentation will give us some fascinating insight into how important McNabs Island is to Canadian history,” says Cathy McCarthy of Friends of McNabs Island. This informative and interesting presentation is free and open to the public.